The Porsche 918 Spyder is a very good high performance hybrid supercar. The plug-in hybrid is fast in its normal form, but with the Weissach Package (a.k.a. Track Pack) you get a whole other level of performance. The 918 with the “track pack” weighs much less and yet includes some stronger parts and some safety equipment. It was a model with the Weissach Package that managed an incredible Nurburgring lap time of under 7 minutes. This video gives an idea of what the special package does for the supercar and it also talks about the exterior colors and liveries that are available. So, if you have just under $1 million to spend on a car then the Porsche 918 Spyder with the Weissach Package might be the car for you. Performance cars can be very good one the road, but where they truly come to life is on the track. After all where else can you get close to a car’s limits without running the risk of jail time. 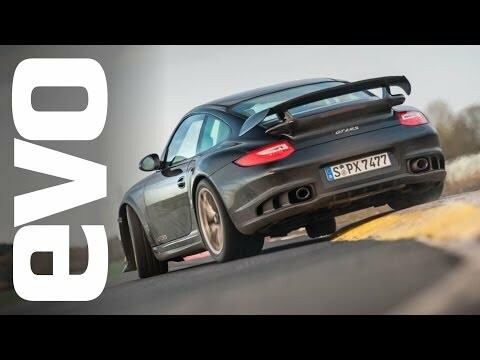 To give us an idea of what various performance cars can do evo Magazine is pitting them against each other on a track. This will give us a chance to see which is the best car at speed. The weekly video series starts on March 5th and will feature cars from Porsche, Mercedes and Audi. It looks like it could be a very entertaining series. Question: What Is Your Favorite Race Track? No matter if you have driven a car on a race track or have just watched auto racing, chances are you have a favorite track. If you are a GT racing fan of brands like Porsche or Ferrari, then you might prefer a track like the Nurburgring. If you like NASCAR then maybe you like Daytona or if you are an F1 junkie then it might be the Monte Carlo Circuit (yes you can talk about a street circuit). For today’s question we want to know which racing track is your favorite! Let us know your answers in the comments. If you are like me then you are addicted to speed. You just can’t get enough of it. No, I’m not referring to the illegal drug, but I am talking about driving quickly. When you drive a performance car it tends to beg your right foot to go all the way to the floor and it is hard to resist the temptation. So, how can you feed your addiction to speed legally? Well, we have put together a list of the top 5 legal ways to go fast in a car. Track Day – Track days are a great way to drive quickly without breaking the law. The idea is simple, take your car to your local race track and pay a fee to drive on the track. Many of these track days are organized by automotive clubs, so if you join a club for your performance car then you will probably have the inside information on when track days happen in your area. Autocross – Autocross is a great way to get the feel of high speed driving, without the high speed. In Autocross you won’t hit speeds much higher than on the road, but the courses will have a lot of corners and taking them at a higher speed is a lot of fun. Autobahn – If you are able to travel then driving the Autobahn is every car guys dream. It is one of the few public roads in the world that there are sections of the road that can be driven as fast a your car can go. There are places that offer sports cars (such as Porsches and Ferraris) for rent with a drive on the Autobahn as part of the plan. Nurburgring – Driving on the Nurburgring is one of the few places that on most days you can just drive a car to the track, pay a fee and then drive on the track. The track can be tough and it will take you a lifetime to really master it. Texas Mile – The Texas Mile is a yearly event where an airport runway is used as a mile long drag strip. The idea is to take your car to the runway and then drive it as fast as you can in a mile. The Formula One season may be over, but work for next season is already under way. This past season one of the big stories was the issues with tires. This affected multiple manufactures, including Ferrari. Because if this the FIA has allowed Ferrari as well as a few other manufactures to track test their cars early. Pedro de la Rosa and Jules Bianchi will take to the track putting their Pirelli tires to the test. This will give much needed data for driving simulation setup and to work with or improve the tires. Pedro de la Rosa and Jules Bianchi will take to the track in Bahrain at the wheel of a Ferrari for the Pirelli organised test from 17 to 19 December. Apart from Scuderia Ferrari, three other Formula 1 teams will take part. While the data management and the daily schedule will be defined by Pirelli, De La Rosa’s work at the wheel of the F138 over the first two days will be important in terms of defining the continuation of the simulator development work began by the Spaniard in 2013. As for Bianchi, he drives on the final day and with a nod to the activity surrounding young driver development undertaken by the Ferrari Driver Academy, it will be an opportunity to demonstrate the progress he has made this year in Formula 1. The test has been added to the calendar after a long consultation between the teams, following a request from the tyre supplier to test next year’s tyres using the 2013 cars. The test has been approved by the FIA, which has therefore applied a waver to the current regulations.